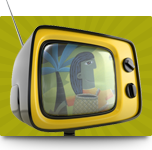 The words, their meanings, the explanations and the example sentences in this dictionary have been gathered over a number of years from a wide variety of written and oral sources, including Māori television programmes. However, the books listed below have been particularly valuable and the author wishes to acknowledge these in particular as major sources of information for this dictionary. 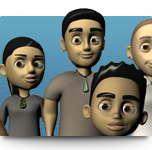 Some of these will provide you with further valuable reference sources for the meanings of Māori vocabulary and idioms, and for the identification of people, place names and species not included in Te Aka Māori-English, English-Māori Dictionary and Index. Bauer, W. 1997. The Reed Reference Grammar of Māori. Auckland: Reed Books. Benton, R., A. Frame & P. Meredith. 2013. Te Mātāpunenga. A Compendium of References to the Concepts and Institutions of Māori Customary Law. Wellington: Victoria University Press. Biggs, Bruce. 1998. 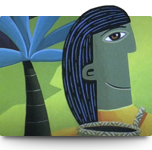 Let’s Learn Maori: A Guide to the Study of the Maori Language. Auckland: Auckland University Press. Deverson, T. & G. Kennedy (eds.). 2005. The New Zealand Oxford Dictionary. South Melbourne: Oxford University Press. Mead, H.M. & N. Grove. 2001. Ngā Pēpeha a ngā Tīpuna. Wellington: Victoria University Press. Harlow, Ray. 2001. A Māori Reference Grammar. Auckland: Pearson Education New Zealand Limited. He Kupenga Hao i te Reo. 2009. Te Reo Putaiao. Te Whanga-nui-a-Tara: Te Tāhuhu o Te Mātauranga. He Kupenga Hao i te Reo. 2010. Te Reo Pāngarau. Putanga Tuarua. Te Whanga-nui-a-Tara: Te Tāhuhu o Te Mātauranga me He Kupenga Hao i te Reo. He Kupenga Hao i te Reo. 2014. Te Reo o Ngā Toi Ataata. He Tauira Papakupu. Papaioea: Te Tāhuhu o Te Mātauranga me He Kupenga Hao i te Reo. He Kupenga Hao i te Reo. 2015. Te Reo o Ngā Toi Puoro. He Tauira Papakupu. Papaioea: Te Tāhuhu o Te Mātauranga me He Kupenga Hao i te Reo. Ngata, H. M. 1993. English-Maori Dictionary. Wellington: Learning Media. Stephens, Māmari & Mary Boyce. 2013. He Papakupu Reo Ture A Dictionary of Māori Legal Terms. 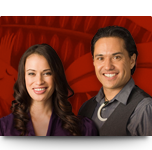 Wellington: LexisNexis NZ Ltd.
Te Taura Whiri i te Reo Māori. 1996. Te Matatiki: Contemporary Māori Words. Auckland: Oxford University Press. Te Taura Whiri i te Reo Māori. 1999. He Kohinga Kīwaha. Auckland: Reed. Te Taura Whiri i te Reo Māori. 2008. He Pātaka Kupu: Te Kai a te Rangatira. Auckland: Raupo. Williams, H.W. 1971. 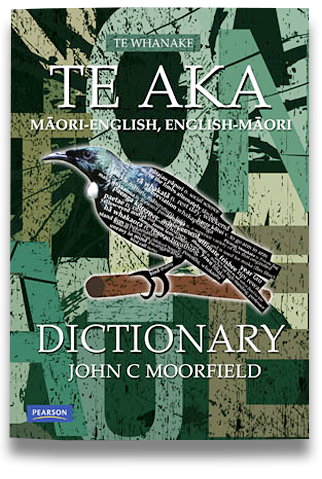 A Dictionary of the Māori Language. Wellington: Government Printer. Crowe, Andrew. 2001. Which Native Tree? Auckland: Penguin Books. Crowe, Andrew. 2001. Which Native Fern? Auckland: Penguin Books. Crowe, Andrew. 2002. Which New Zealand Insect? Auckland: Penguin Books. Crowe, Andrew. 2003. Which Coastal Plant? Auckland: Penguin Books. Crowe, Andrew. 2003. Which Native Forest Plant? Auckland: Penguin Books. Crowe, Andrew. 2004. A Field Guide to the Native Edible Plants of New Zealand. Auckland: Penguin Books. Dawson, John & Rob Lucus. 2011. New Zealand’s Native Trees. Nelson: Craig Potton. Eagle, Audrey. 2006. Eagle's Complete Trees and Shrubs of New Zealand. Wellington: Te Papa Press. Heather, B.D. 2000. The Field Guide to the Birds of New Zealand. Auckland: Viking. Salmon, J.T. 1980. The Native Trees of New Zealand. Auckland: Heinemann Reed. Scofield, Paul & Brent Stephenson. 2013. Birds of New Zealand. A Photographic Guide. Auckland: Auckland University Press. Information for many of the important Māori men and women has been gleaned from the following. The author acknowledges these. Orange, C. (ed.). 1990. Ngā Tāngata Taumata Rau 1769-1869. Wellington: Allen & Unwin and Te Tari Taiwhenua. Orange, C. (ed.). 1994. Ngā Tāngata Taumata Rau 1870-1900. Wellington: Bridget Williams Books and Te Tari Taiwhenua. Orange, C. (ed.). 1996. Ngā Tāngata Taumata Rau 1901-1920. Wellington: Auckland University Press and Te Tari Taiwhenua. Orange, C. (ed.). 1998. Ngā Tāngata Taumata Rau 1921-1941. Wellington: Auckland University Press and Te Tari Taiwhenua. Orange, C. (ed.). 2000. Ngā Tāngata Taumata Rau 1941-1961. Wellington: Auckland University Press and Te Tari Taiwhenua. Example sentences have been included for most separate meanings and parts of speech so that the word can be seen in context. The translations are to help with understanding. Unless referenced otherwise, these translations are by the author, except in the case of example sentences taken from the Māori Bible, where all the translations are from the King James Version. Learners will be able to improve their understanding and fluency by studying these example sentences carefully. The sentence selected reflects good quality language with correct usage. As much as possible the sentence provides clarity in the meaning of the word(s) in question. The sentence adds further information about the meaning of the word that may not be contained in the English gloss. For cultural concepts, the sentence may include further information about that concept or cultural practice. The sentence relates to an important event in history. Someone known for his or her knowledge of Māori culture, language and/or history may have written the sentence. The sentence is from a publication well regarded for the quality of the language used, e.g. the five volumes of Ngā Tāngata Taumata Rau listed above, or the four volumes of Ngā Mōteatea by Ngāta & Jones (see M below). Finding suitable example sentences was greatly assisted by being able to search digital online texts. In particular, the author wishes to thank Te Taura Whiri i te Reo Māori for providing access to their digital corpus of texts, Te Mātāpuna. The sources of the example sentences are listed below with the abbreviations used in this dictionary and the online version. B Broughton, R. 1979. Ko Ngā Paiaka o Ngā Rauru Kītahi. MA thesis, Victoria University of Wellington. BFM Benton, R., A. Frame & P. Meredith. 2013. Te Mātāpunenga. A Compendium of References to the Concepts and Institutions of Māori Customary Law. Wellington: Victoria University Press. Biggs Biggs, B. 1997. He Whiriwhiringa: Selected Readings in Maori. Auckland: Auckland University Press. CS Ministry of Justice. 2013. Ina mate ohorere te tangata. He aratohu ki ngā ratonga tirotiro mate whawhati. Ministry of Justice, Coronial Services. DNZB Orange, C. (ed.). Dictionary of New Zealand Biography. Auckland: Auckland University Press & Department of Internal Affairs. Volume 1 1990, Volume 2 1993, Volume 3 1996, Volume 4 1998, Volume 5 2000. EM Phillis, Te O. 2002. Eruera Mānuera. Te Whanganui-a-Tara: Huia. G Grey, G. 1853. Ko nga Moteatea me nga Hakirara o nga Maori. Wellington: Robert Stokes. Ha Te Tāhuhu o te Mātauranga. 1999. Hangarau i roto i te Marautanga o Aotearoa. Te Whanganui ā Tara: Te Pou Taki Kōrero. HKKT Papa, Pānia & Rāhui Papa. 2011. He Kohinga Kīwaha nō Tainui. Aotearoa: Takatū. HM Te Taura Whiri i te Reo Māori. He Muka. HP Pōtatau, Hēmi. 1991. He Hokinga Mahara. Tāmaki-makau-rau: Longman Paul. HS Sadler, Hone. 2014. Ko Tautoro, Te Pito o Tōku Ao. A Ngāpuhi Narrative. Auckland: Auckland University Press. HW Waititi, H.R. 1968. Te Rangatahi 1. Wellington: Government Printer. HW Waititi, H.R. 1969. Te Rangatahi 2. Wellington: Government Printer. HWM Mahupuku, Hikawera Wiremu. (n.d.) Whakapapa Tupuna. Unpublished manuscript. Inoi Te Komiti mo te Whakapuaki i te Mohiotanga kit e Karaiti. 1951.Te Pukapuka o Nga Inoi me era atu Tikanga a te Hahi o Ingarani. Ranana: Te Komiti mo te Whakapuaki it e Mohiotanga kit e Karaiti. K Kāretu, T. 1993. Haka The Dance of a Noble People. Auckland: Reed. Kāretu Kāretu, T.S. 2009. ‘Tā te ipoipo.’ He Papa Huia presentation, AUT University, 17 November 2009. Kāretu Kāretu, T.S. 2010. ‘Ngā waiata whakangahau a te hunga mate.’ Unpublished paper. KR Ka‘ai-Mahuta, R., Ka‘ai, T. & Moorfield, J. (eds.) 2013. Kia Rōnaki: The Māori Performing Arts. Auckland: Pearson. M Ngata, A.T. & Pei Te Hurinui Jones. Ngā Mōteatea The Songs. Third edition. Auckland: Auckland University Press Part 1: 2004, Part 2: 2005, Part 3: 2006, Part 4: 2007. MT Tau, Te Maire. 2011. I Whānau Au Ki Kaiapoi. The Story of Natanahira Waruwarutu as recorded by Thomas Green. Dunedin: Otago University Press. NM Sir George Grey. 1928. Nga Mahi a nga Tupuna. Third edition. New Plymouth: Thomas Avery & Sons. N Pohatu, Nepia. 1930. Memoir Supplement. Te Wānanga. Vol. 1, No. 2. pp.141-260. Ng Ngata, Hōri M. 1993. 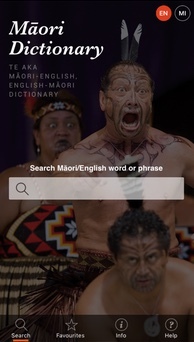 English-Maori Dictionary. Wellington: Learning Media. NIT Pei Te Hurinui. 1995. Ngā Iwi o Tainui. Auckland:Auckland University Press. NP H.M. Mead & N. Grove. 2001. Ngā Pēpeha a ngā Tīpuna. Wellington: Victoria University Press. NToI Gore Browne, T. 1858. Ko Nga Ture o Ingarani. Ākarana: Te Kawana o Niu Tirani. NWH Kāretu, T.S. 1978. Ngā Waiata me ngā Haka a Tāua a te Māori. Hamilton: Te Whare Wānanga o Waikato. Pa Te Tāhuhu o te Mātauranga. 1996. Pāngarau i roto i te Marautanga o Aotearoa. Te Whanganui ā Tara: Te Pou Taki Kōrero. Pēhi Best, E. 1942. Forest Lore of the Maori. Wellington: Polynesian Society. PK Te Taura Whiri i te Reo Māori. 2008. He Pātaka Kupu: Te Kai a te Rangatira. North Shore: Raupo. Popi Pope, James. 1887. Te Pukapuka Kura Maori. Poneke: Kaita a te Kawanatanga. Popi Pope, James. 1896. Te Ora mo te Maori. Poneke: Kaita a te Kawanatanga. PT The Bible Society in New Zealand. 1952. Ko Te Paipera Tapu. Wellington: The Bible Society in New Zealand. Pu Te Tāhuhu o te Mātauranga. 1996. Pūtaiao i roto i te Marautanga o Aotearoa. Te Whanganui ā Tara: Te Pou Taki Kōrero. Rewi Rewi, P. 2005. Te Ao o te Whaikorero. Unpublished PhD thesis, University of Otago. RK Kaa, Te Ohorere & Wiremu. 1994. Nga Kōrero a Reweti Kohere Mā. Wellingtom: Victoria University Press. RM Maunsell, R. 1894. Grammar of the New Zealand Language. Fourth edition, Auckland: Upton & Co.
RP He Kupenga Hao i te Reo. 2009. Te Reo Putaiao. Te Whanga-nui-a-Tara: Te Tāhuhu o Te Mātauranga. RR Karetu, T.S. 1974. Te Reo Rangatira. Wellington: Government Printer. RT Stephens, Māmari & Mary Boyce. 2013. He Papakupu Reo Ture A Dictionary of Māori Legal Terms. Wellington: LexisNexis NZ Ltd.
RTA He Kupenga Hao i te Reo. 2014. Te Reo o Ngā Toi Ataata. He Tauira Papakupu. Papaioea: Te Tāhuhu o Te Mātauranga me He Kupenga Hao i te Reo. RTP He Kupenga Hao i te Reo. 2015. Te Reo o Ngā Toi Puoro. He Tauira Papakupu. Papaioea: Te Tāhuhu o Te Mātauranga me He Kupenga Hao i te Reo. S Stowell, H.M. (Hare Hongi). 1911. Maori-English Tutor and Vade Mecum. Christchurch, Wellington & Dunedin: Whitcombe & Tombs. T Mitchell, J.H. 1944. Takitimu. Wellington: Reed. TAH Te Ao Hou. Numbers 1-76. TKI Ministry of Education. Te Kete Ipurangi. To Te Tāhuhu o te Mātauranga. 1999. Ngā Toi. Te Tauākī Marautanga He Tauira.Te Whanganui ā Tara: Te Pou Taki Kōrero. Toi Melbourne, H. 1991. Toiapiapi: he huinga o ngā kura pūoro a te Māori. Te Whanganui a Tara:Titi Tuhiwai. Tr Transactions of the New Zealand Institute. TRM Te Tāhuhu o te Mātauranga. 1996. Te Reo Māori i roto i Te Marautanga o Aotearoa. Whananui ā Tara: Te Pou Taki Kōrero. TRP He Kupenga Hao i te Reo. 2010. Te Reo Pāngarau. Putanga Tuarua. Te Whanga-nui-a-Tara: Te Tāhuhu o Te Mātauranga me He Kupenga Hao i te Reo. TT Tikao, TT & H. Beattie. 1990. Tikao Talks: Ka Taoka Tapu o Te Ao Kohatu. Treasures from the Ancient World of the Maori. Auckland: Penguin books. TTR Orange, C. (ed.). 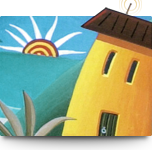 1990-2000. Ngā Tāngata Taumata Rau. Auckland University Press & Te Tari Taiwhenua Volume 1 1990, Volume 2 1994, Volume 3 1996, Volume 4 1998, Volume 5 2000. TTTT Walker, Piripi & Huriana Raven (eds) 2006. Te Tū a Te Toka: He Ieretanga nō ngā Tai e Whā. Te Whanga-nui-a-Tara: Toi Māori Aotearoa. TTW Te Taura Whiri i te Reo Māori. 2004. Tauākī Whakamaunga Atu 04-08. Te Whanga-nui-a-Tara: Te Taura Whiri i te Reo Māori. W Williams, William. 1852. Dictionary of the New Zealand Language. Second edition. London: Williams and Norgate. W Williams, Herbert W. 1971. Dictionary of the Maori Language. Seventh edition. Wellington: GP Publications. Wh3 Moorfield, J.C. 2003. Te Whanake 3 Te Māhuri. Auckland: Pearson Education New Zealand. Wh4 Moorfield, J.C. 2004. Te Whanake 4 Te Kōhure. Auckland: Pearson Education New Zealand. White 1 White, J. 1887. Ancient History of the Maori. Vol. I. Wellington: Government Printer. White 2 White, J. 1889. Ancient History of the Maori. Vol. II. Wellington: Government Printer. White 3 White, J. 1889. Ancient History of the Maori. Vol. III. Wellington: Government Printer. White 4 White, J. 1889. Ancient History of the Maori. Vol. IV. Wellington: Government Printer. White 5 White, J. 1888. Ancient History of the Maori. Vol. V. Wellington: Government Printer. White 6 White, J. 1890. Ancient History of the Maori. Vol. VI. Wellington: Government Printer. WT Tāwhai, Wiremu. 2013. Living by the Moon. Te Maramataka a Te Whānau-ā-Apanui. Wellington: Huia. Where example sentences have been taken from the sources listed above, the sources are provided in parentheses at the end of the example. The book or newspaper title is given in the abbreviated form (listed above), followed by the date of the publication and the page number, which is preceded by a colon, e.g. (TWMNT 28/5/1873:60). With Te Ao Hou and Te Wharekura, the number of issue is given instead of the date, e.g. (TAH 58:9) and He Muka references provide the issue number before the year and page number, e.g. (HM 4/2009:3). For website references the year the website was accessed for the example sentence is provided, e.g. (Te Ara 2015). For personal communication the person's name and the year is provided, e.g. (Kāretu 2011). In November 2015, we began recording and loading the audio for each headword of the dictionary so that learners can hear the correct pronunciation. It is fortunate that two of the most fluent speakers of Māori, Te Wharehuia Milroy and Te Haumihiata Mason, agreed to the request to do this recording. Tēnā rawa atu kōrua. The recordings of the native birds and animals were provided by McPherson Natural History Unit and Viking Seven Seas Ltd. These were provided at no cost. This generosity is acknowledged with thanks.